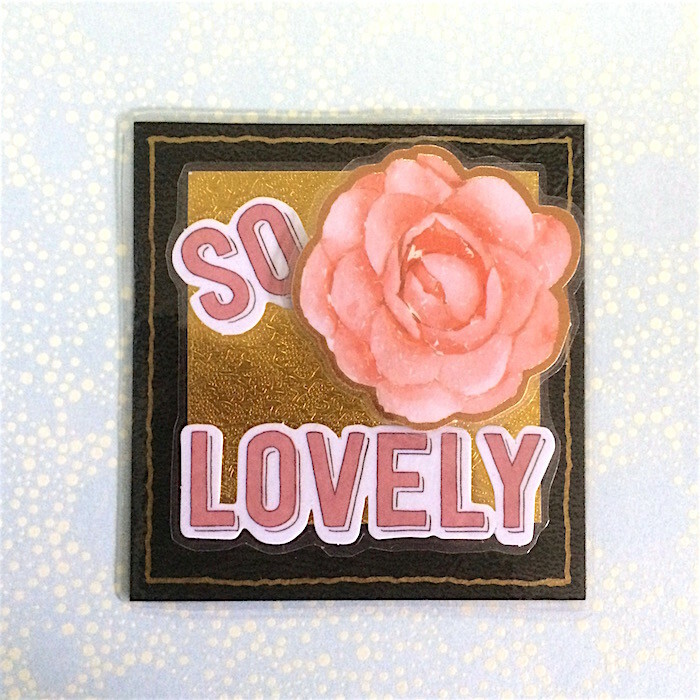 This fridge magnet has been made with a black leather textured card as the base to which a gold inked border has been added. 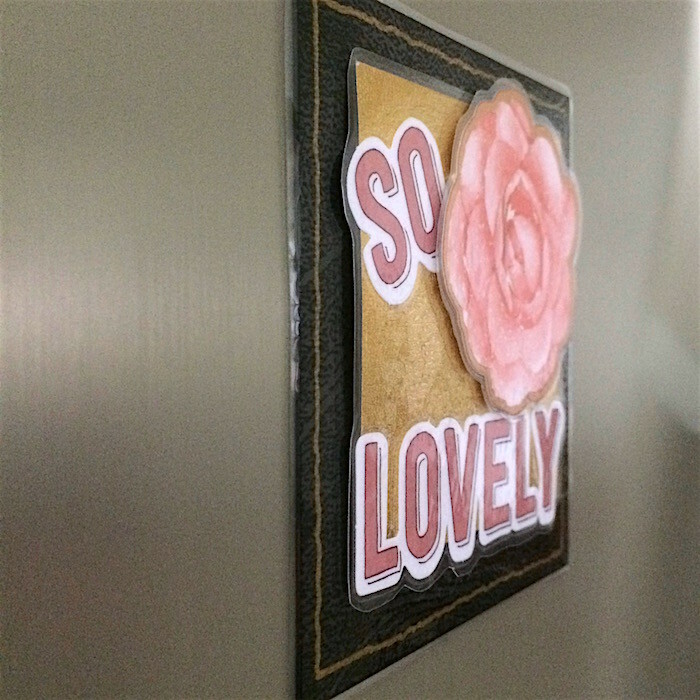 Two other laminated layers have been added, giving a 3D effect. 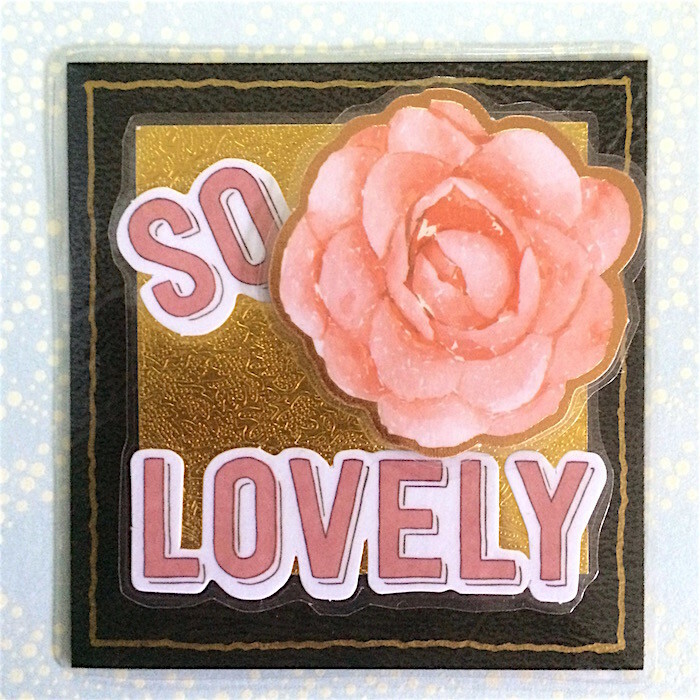 The first layer has a gold textured background and the text, ‘So lovely’.The top contains an image of a large pink flower with copper highlights. A large magnet has been attached to the back. 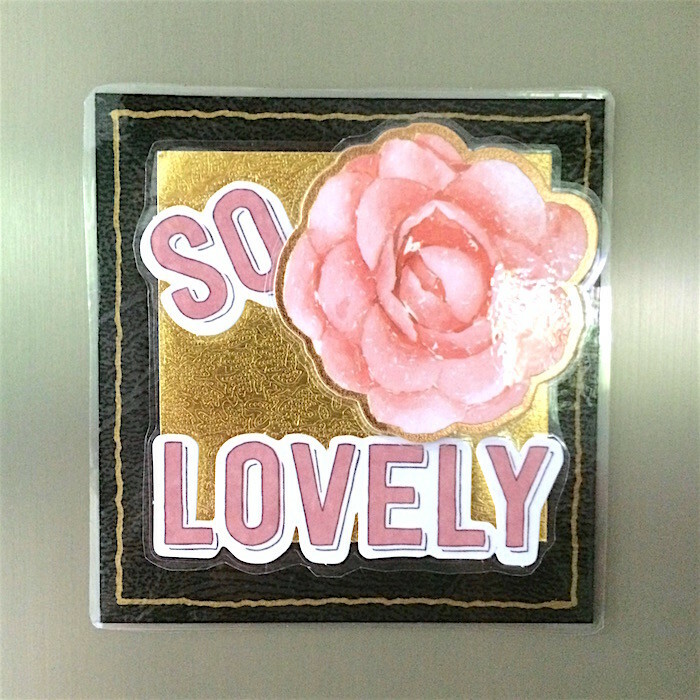 The size is approximately 95 mm X 95 mm.